So, you’ve booked the Social Station, how do you plan for your pub crawl? It’s simple! Here are a few things you need to know before your tour. Please arrive 15 minutes early to sign waivers and start on time. All Social Station WI tours are paid in full at the time of online booking. 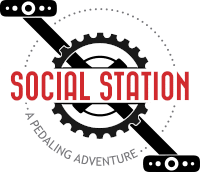 Tours are not reserved until payment is received in full and you receive a confirmation email from the Social Station WI. If you have questions about our weather and cancellation policy, please give us a call. Social Station WI operates rain or shine! However, if severe weather does occur, Social Station WI reserves the right to cancel and offer a rain check. Sorry, once a tour starts, there will be no rain check offered.